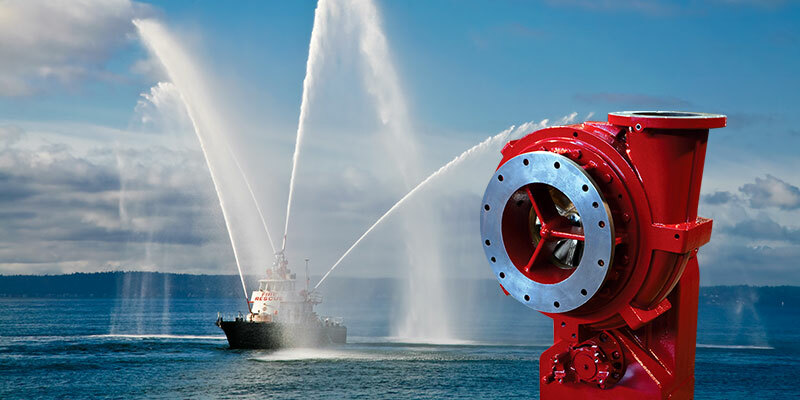 Whether it serves in an industrial, oil-gas, marine, nuclear, military, or municipal environment, the High Velocity Pump is the ideal choice for providing large flow capabilities to different firefighting applications. 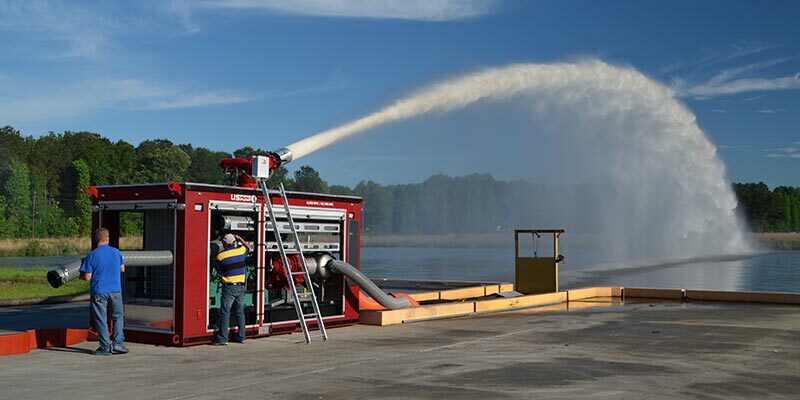 US Fire Pump Skid Units provides high velocity pump performance in a small self-contained package, built from the strongest materials to ensure maximum integrity and durability. The midship pump is designed to be rated from 5250 to 6000 GPM per the current edition of NFPA 1901. This pump includes a gearbox system for midship split drive line driven chassis installations. 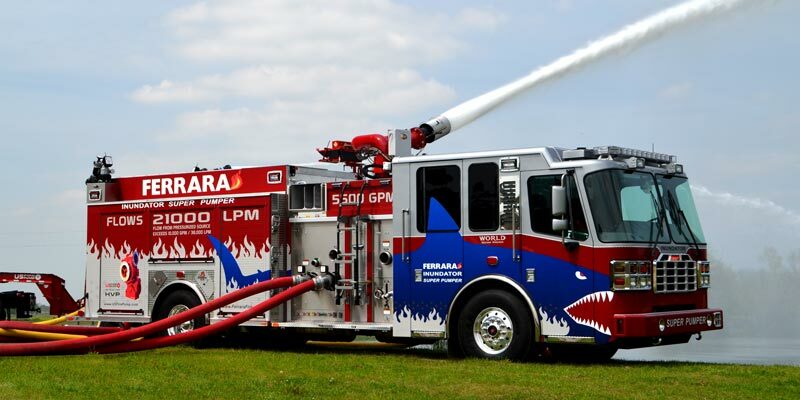 Whether it is the Direct Engine Mounted Pump or the PTO Drive pump, each will integrate into your firefighting system giving you the superior performance needed for large fire incidents.